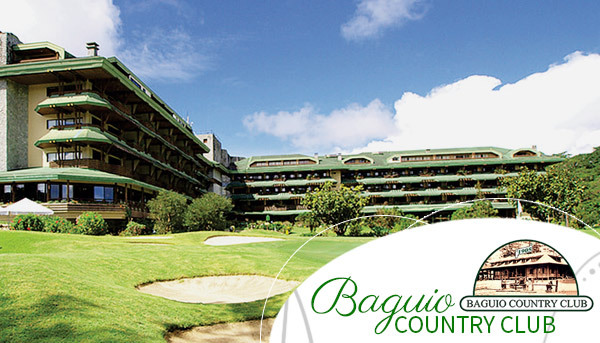 Baguio Country Club is a historical golf course found in the Summer Capital of the Philippines, Baguio City. Centuries ago, Baguio experienced a revolution between the Filipinos and the Spaniards. Then the war between the Filipinos and the Americans took place, with the Americans occupying the location. Baguio Country Club is known to be famous because it was built on many of the areas where these historical battles took place. Built in 1905 by legendary golfer Luis Golem Silver, the 18th hole golf course became known as the premier exclusive club in the city. The golf course is ideal for your daily golf game. It has a small range with varieties of grasses including Bermuda, Carabao, and Korean. Its narrow fairways are lined with elevated greens, pine trees, and lagoons. These lagoons have a depth of 9ft. with water hazards which can be rare during times because of the areas limited water supply. The serene and romantic view of Baguio Country Club is the perfect place for its members to stay because of its outstanding accommodations from their deluxe rooms to their European styled cottages. Aside from that, the clubhouse’s infinity garden, ballroom roof deck, function rooms, massage rooms, and restaurants can also be enjoyed by its members. 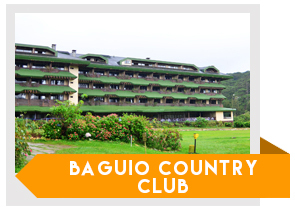 Tip for Tourists: You can still play at Baguio Country Club by booking directly with GolfPackages. Fill out the form to your right and get your free quote today.